Popular historic sites such as Cathedrale Notre-Dame de Rouen and Palace of Versailles are in your itinerary. Explore hidden gems such as Chateau de Fontainebleau and Chartres Cathedral. Next up on the itinerary: admire all the interesting features of Eiffel Tower, wander the streets of Montmartre, browse the exhibits of Centre National d'Art et de Culture George Pompidou, and examine the collection at Musee Rodin. To find traveler tips, reviews, photos, and more tourist information, refer to the Paris day trip planning app . If you are flying in from United States, the closest major airports are Paris-Orly Airport, Charles de Gaulle International Airport and Paris Beauvais Tillé Airport. 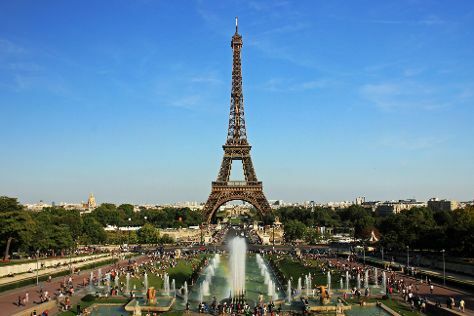 September in Paris sees daily highs of 70°F and lows of 53°F at night. You will have some time to spend on the 18th (Wed) before leaving for home.